Palacio del Flamenco located in Barcelona downtown, holds a widely well-known reputation and is purely dedicated to the art of flamenco. Our guests will discover the most outstanding tastes and flavors from our high quality kitchen. There is a waiting hall for our guests so they could wait if they arrive earlier. 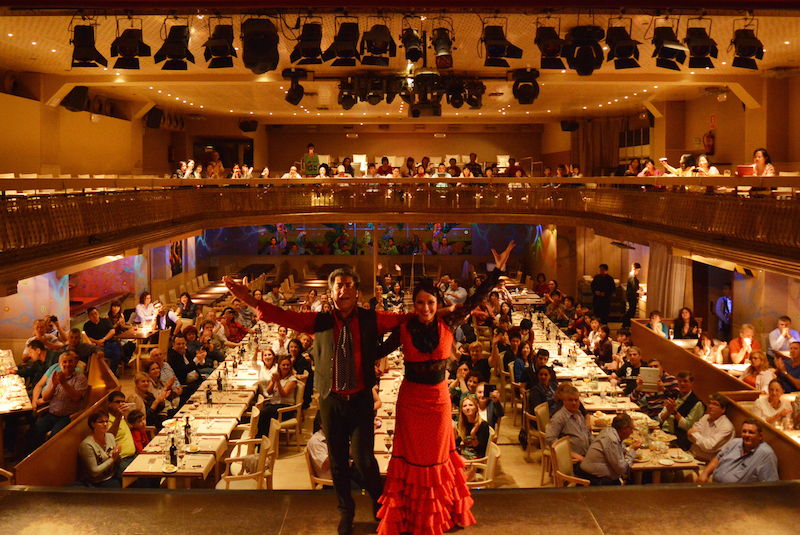 This hall can also be arranged for private events or flamenco lessons. We are offering three different shows with more than 15 artists performing on stage such as ‘cantaores’ (singers),‘bailaores’ (dancers), guitar players and other musicians. 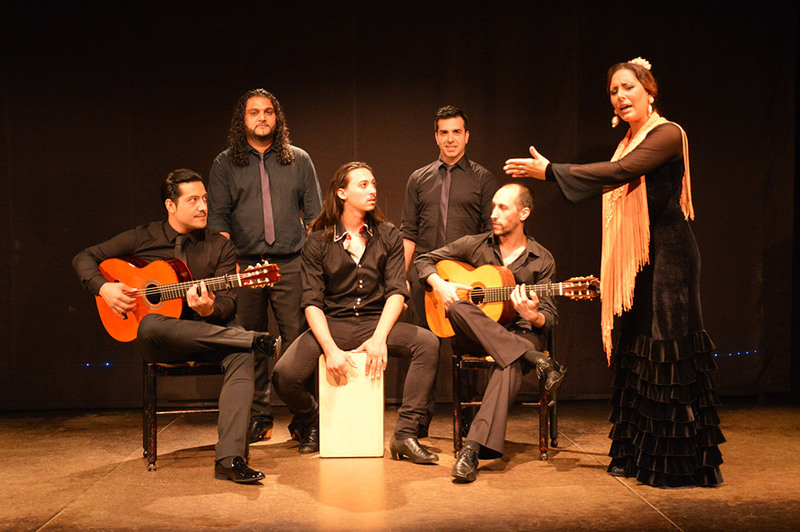 The artists create a mixture of flamenco styles from the traditional styles to new fusions.